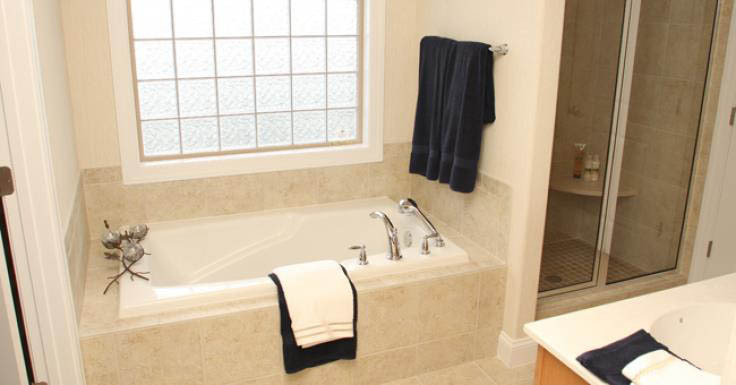 PENSACOLA, FLA - Bathroom occupants deserve privacy, and Trusst Builders has delivered that privacy feature for more than 10 years by installing obscure Hy-Lite acrylic block windows in their bathroom settings. "We install more than 80 acrylic block windows in bathrooms each year in our homes," says Steve Hamalainen, director of operations for Trusst Builder Group out of Leland, NC. "Year after year we depend on Hy-Lite products to add both style and practical privacy to our bathrooms. "Some builders would feature these decorative windows as an upgrade, but for our company it's a standard product because our customers have been so pleased with these windows. They come as either fixed or operational, and they always allow in natural light while protecting homeowner privacy." Manufactured in Florida, acrylic block windows from Hy-Lite come in a variety of sizes and styles, including custom configurations. The diversity of frame color options, block colors and block sizes allow Trusst Builder Group to always find the perfect window for their home plans. "We have a good, solid history with Hy-Lite," says Hamalainen. "For 10 years these products have been delivered on time and have not had any leaks or problems. Our customers like them and we rely on these acrylic block windows to set our homes apart in our marketplace." Trusst Builder Group is a 2012 partnership of Trusst Builders and Hearthside Builders, each with a long history in southeastern North Carolina. The company constructs value-priced, custom-quality homes where premier finishes are standard. For more information, visit www.trusstbuildergroup.com.